John and I went on to talk about many things, including those Frasier years. Together with his memories of working with Kelsey Grammer, David Hyde Pierce, Jane Leeves and Peri Gilpin. Not forgetting Eddie – ex-cop Marty’s dog. While regular cast members Honeysuckle Weeks (Samantha Stewart) and Daniel Weyman (Adam Wainwright) also had some fascinating things to say. Click on the link below to read my interviews for ITV with John, Honeysuckle and Daniel. 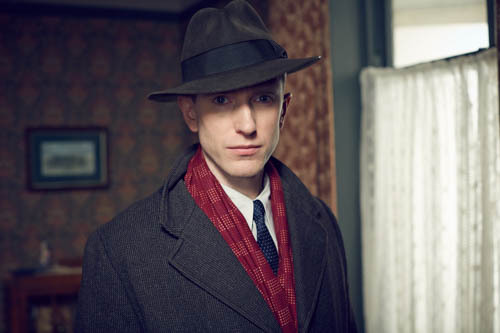 What I haven’t been able to report until today is that this is the final series of Foyle’s War. 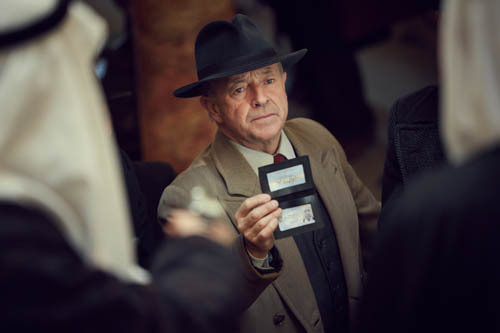 ITV, Eleventh Hour Films and Acorn Productions today confirmed that the award-winning drama series Foyle’s War, starring Michael Kitchen, will air its final episode on Sunday 18 January 2015 at 8pm on ITV. Writer and creater, Anthony Horowitz OBE, has penned the iconic Foyle’s last ever case, Elise, which sees award-winning actor, Michael Kitchen star as one of television’s favourite detectives, Christopher Foyle, Senior Intelligence Officer for the secret service, MI5, for the final time in this two-hour drama. In the dramatic finale to the much loved series, Foyle must re-examine Hilda Pierce’s top secret role during the war within SOE (Special Operations Executive) following an assassination attempt on her life outside MI5. SOE French section sent many agents behind enemy lines and Foyle suspects the shooting may be connected to the hunt for a traitor within SOE called Plato who could have been behind the deaths of nine agents in France. Michael Kitchen as Christopher Foyle. Anthony Horowitz first thought up the idea of Foyle’s War in 2000 and has scripted twenty-four two-hour films. 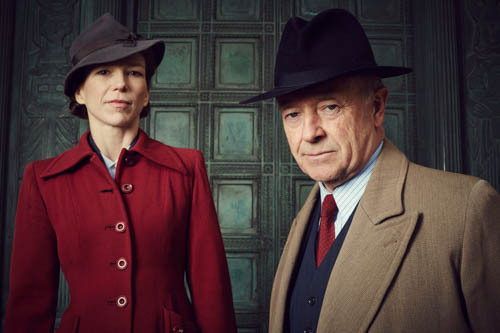 Foyle’s War has travelled from the start of the war to Dunkirk, the Blitz, VE Day and the Cold War with secret intelligence, Soviet spies and the atomic bomb. 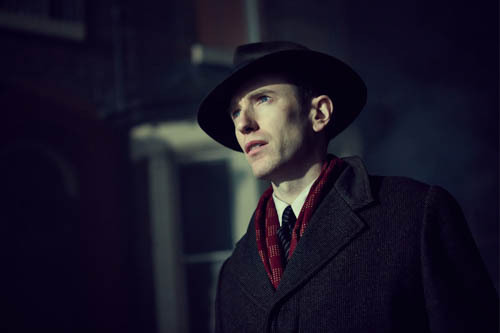 Along with the murders and mysteries, Foyle’s War has explored many remarkable stories including the quiet heroism of the SOE, the genius and original thinking of the men and women behind the bouncing bomb, the development of plastic surgery and the invention of radar. Anthony Horowitz said: “It feels a terrible wrench to say goodbye to characters I’ve lived with for more than fifteen years. But the truth is that I’m not sure there are any more stories to tell and anyway it was always my intention to end on a high note and I think this year’s episodes are the very best we’ve done. Jill Green, Executive Producer Eleventh Hour Films said: “We have made twenty-eight successful feature length films-a huge body of work-with the quality rising every year. So it is good to be closing on a high, and having the time to now offer our loyal audiences new dramas. 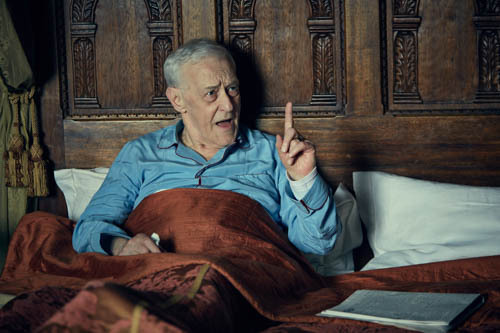 The cast joining Michael Kitchen for the final episode includes series regulars Honeysuckle Weeks, Daniel Weyman, Ellie Haddington, Tim McMullan and Rupert Vansittart, with guest stars Katherine Press, Emma Fielding, Tony Clay, Leo Gregory and Conleth Hill. Honeysuckle Weeks as Sam Stewart and John Mahoney as Andrew Del Mar. 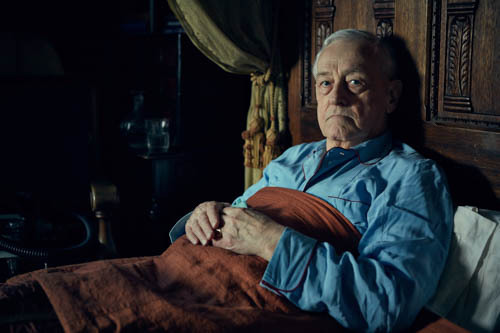 Michael Kitchen has played, the enigmatic, Christopher Foyle since 2002. 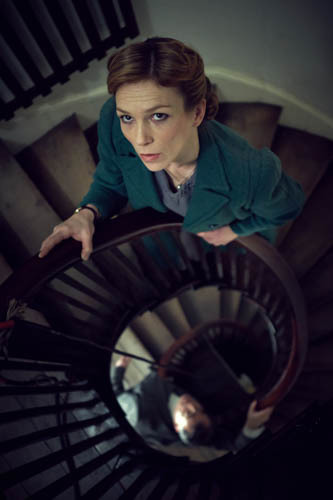 The first episode of Foyle’s War, The German Woman, was broadcast on 27 October 2002. Elise is produced by John Chapman (The Street, Cracker, The Lost Prince), directed by Andy Hay (New Tricks, Waking the Dead, Silent Witness) and executive produced by Jill Green (Injustice, Vexed, Collision) and Nicole Finnan (Jane Eyre, Mistresses, Monarch of the Glen) on behalf of Eleventh Hour Films. 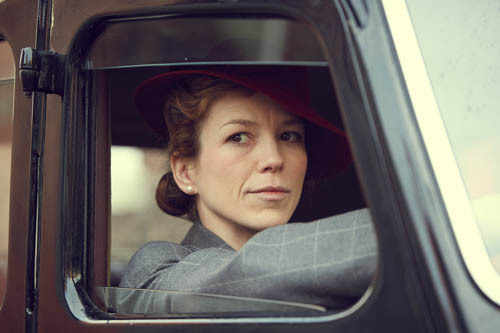 Foyle’s War is produced for ITV and Acorn Productions by Eleventh Hour Films, the production company founded by executive producer Jill Green. Acorn Productions Limited is an RLJ Entertainment Inc company, itself a leading distributor of British Television in the US. Acorn Productions owns and manages the rights to the Foyle’s War brand. Daniel Weyman as Adam Wainwright. 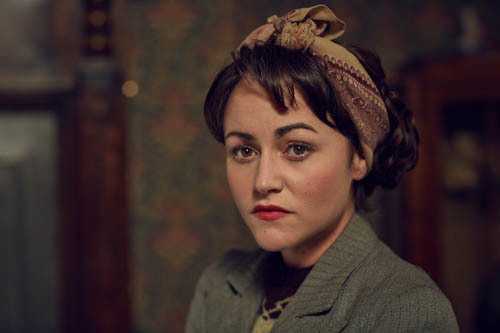 Jamie Winstone as Vera Stephens. Jeremy Swift as Glenvill Harris and Daniel Weyman as Adam Wainwright. 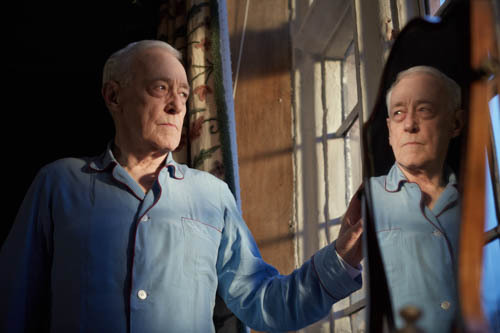 John Mahoney as Andrew Del Mar. 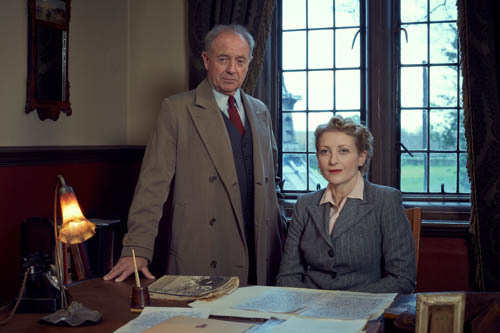 Michael Kitchen as Christopher Foyle and Hermione Gulliford as Elizabeth Addis. Posted in News and tagged Adam Wainwright, Daniel Weyman, David Hyde Pierce, Eddie, Farewell, Final Series, Finale, Foyle's War, Frasier, Frasier Crane, Honeysuckle Weeks, ITV, ITV Drama, Jamie Winstone, Jane Leeves, Jeremy Swift, John Mahoney, Kelsey Grammer, Martin, Marty, Michael Kitchen, Nantwich Town FC, Nantwich Town Football Club, Nigel Lyndsay, Peri Gilpin, The Dabbers. Bookmark the permalink. 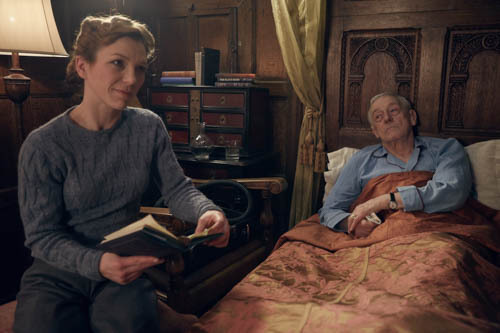 I cannot believe that no more foyles war will be shown on tv. This is a fantastic show and even better actors. I make a point of never missing it. I hope you change your mind about axing it please. Just seen a repeat of the episode featuring John Mahoney on ITV3. 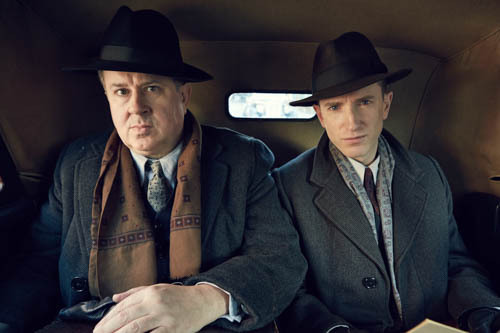 I enjoyed the episode but puzzled because in previous series Foyle had a good knowledge of spoken German- the episode where a German fighter was shot down and he knew what the surviving crew members were saying when they talked amongst themselves- but in the episode I saw tonight needed help from the lawyer to translate very basic German from the documents found behind the painting. May I ask, in the simply wonderful “Foyle’s War” TV Series, who was the real life WWII SOE lady who inspired the character in the series played so superbly by Ellie Harrington as “Miss Pearce” (or should that be “ Miss Pierce)? I have a close family relative, an RAAF pilot of a Specil Duties Squadron at RAF Tempsford, No. 138 (SD) Sqn., whose lost Halifax crew delivered SOE’s agents and supplies to the awaiting Resistance Forces during WEII in Europe.